For many industries, document retention is critical to the security of the business. Every company should have a retention policy detailing the lifespan of their documents from their creation to their destruction. Laws clearly dictate the length of time documents should be kept. Those laws help you minimize exposure to data theft and breaches. A retention period is the amount of time a document should be kept, in both paper and electronic form. 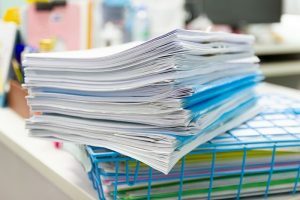 The length of time is often industry-specific and dependent on the documents’ likelihood of being used for litigation purposes in the future. Some documents have a permanent retention period while others have a life span of a few months to a few decades. Once the retention period is up, the document should be disposed of properly. In 2002, the Sabarnes-Oxley Act was passed which put many restrictions on how a business manages their documents. It broadly defines “records” as anything about the company that can be represented with words or numbers which means that there are a lot of records to be managed. HIPAA is another federal law that dictates how medical facilities are to handle the health records of their patients. It mandates the protection and confidentiality of all health records. The majority of states have laws and requirements on document retention. California, in section 19404 of its revenue and tax code, set regulations on how long to retain tax records (6 years for income taxes). California Code of Regulations, Title 8 also gives guidelines on retaining employee health records. In Illinois, the State Records Act regulates documents and how they are to be disposed of. New York State has the MU-1 Records Retention and Disposition Schedule that sets requirements for record retention before disposal for all government offices. Can’t find the document you’re looking for? Check out our blog. Please be aware that this is a general list. Retention periods may vary depending on the state and industry your business is in. You should always consult legal guidance before following any of the information given here. Each industry has its own regulations. Here we will focus on only three major industries: accounting, medical, and legal. Potentially, the best course of action is to retain all legal correspondence as currently, federal guidelines are lacking. The retention period for court documents also changes by state. 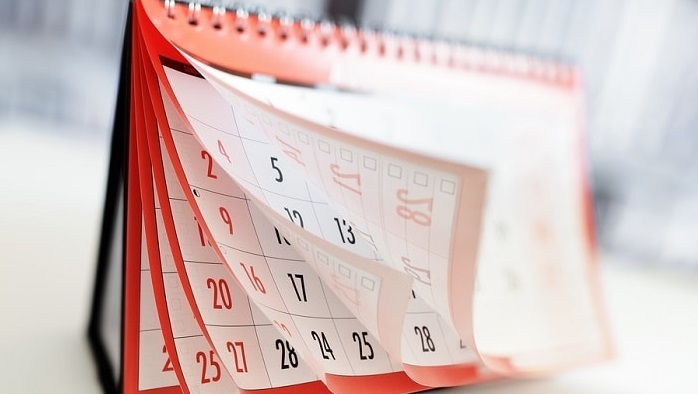 The time can vary between days to six months to ten years to fifty years. 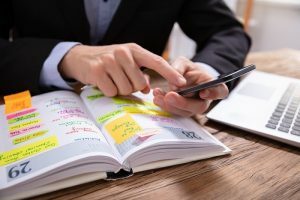 The American Bar Association has created the Modern Rule which sets standards for how a lawyer is to retain their client’s legal documents after a case is closed. Many states have changed their record retention requirements since the creation of these rules. Depending on the state, lawyers are required to retain records for either six or seven years but some states are more flexible. Please consult with a lawyer in your own state or do your own research to ensure your firm is following the proper record keeping requirements before following any of the counsel given in this article. Retention policy is clearly an important aspect for many industries and businesses alike. A retention policy is just the first step to managing all your documents. Eventually, a document will reach the end of its life span and it will have to be disposed of properly. Guidelines have also been set as to how to handle these records. In many cases, documents are of too high security to just be recycled or archived. Document shredding may be necessary to properly dispose of paper records. Improper destruction of records could lead to fines and other penalties set by federal and state laws. Shred Nations can help you find a shredding contractor to handle all your document retention needs. For permanent records, document scanning may be a good solution. Storing paper documents for a number of years is going to take up space. An effective and secure way to retain your documents while also saving space is to use an electronic document management system. We can also help you find a document scanning company that can convert all those paper documents to electronic records. If you would like more information about document retention, shredding, or scanning, please call us at Shred Nations at (800) 747-3365 or fill out the form to the right.